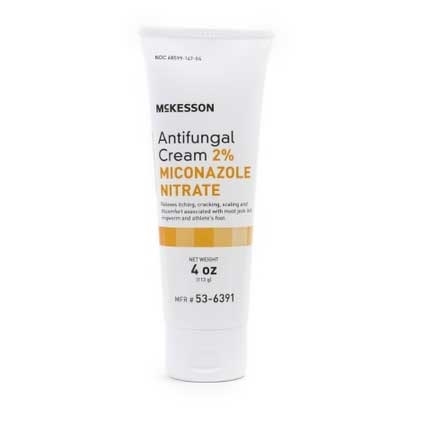 McKesson Antifungal Cream with 2% Miconazole Nitrate relieves itching, cracking, scaling and discomfort associated with jock itch, ringworm and athletes foot. 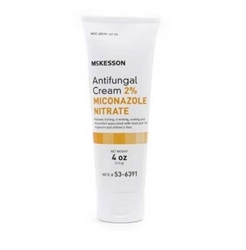 It is for the For the treatment of most athletes foot (tinea pedis), jock itch (tinea cruris), ringworm (tinea corporis). It Relieves itching, scaling, cracking, burning, redness, soreness, irritation, discomfort and chafing.